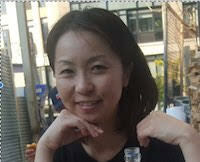 Dr. Yurika Tamura received a Ph.D. in Women’s and Gender Studies at Rutgers University. Her research explores the body and ethics, indigenous stage performance, sensation and assemblage, and New Materialism. Her current book project, entitled, Easy Subjects: Academia, Nation, and Making of Female Transgressions, is currently under review for publication. At UC Riverside, Dr. Tamura will be teaching Literature and Human Rights, Feminist Philosophy of Difference, and Japanese Modern Thought and Imperial Culture, while revising her doctoral dissertation on indigenous performance and ethics of corporeal sensations into a book format.